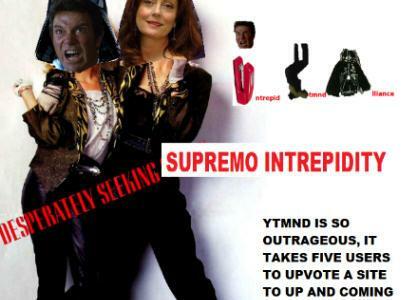 INTREPID DOMAIN GRAB on this site about the Intrepid YTMND Alliance, starring DarthWang, and Susan Trepid (aka Suzanne). Done with IYA style photoshopping! This is a parody of the 1985 movie Desperately Seeking Susan.